At Russell Paul Driving School we provide a wide range of driving lessons in Aylesbury, Princes Risborough, Wendover, Thame and all surrounding areas. 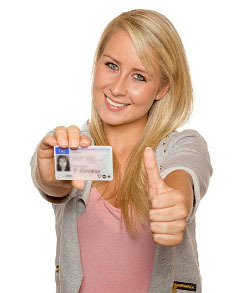 The driving instruction we provide is with a fully qualified, DVSA registered driving instructor. We don't use trainees. 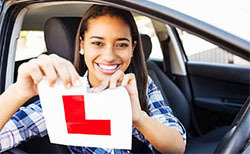 As we understand each student is an individual all driving lessons provided by us are constructed to meet your unique, individual requirements. Treating you as an individual not only helps you learn to drive in a more efficient way but will also enable you to become a driver who can drive safely and with confidence well beyond the driving test. Subsequently our pass rate is higher than the national average. As we recognise lesson time is precious we gaurantee all lessons are on a one to one basis only, just you and the instructor. To help you fit learning to drive into your busy lives we will also pick you up and then drop you off from anywhere in the areas we cover. "I passed my test with Russell and he was an absolutely amazing instructor and I can't recommend him enough! He was extremely patient, helpful and made the whole experience fantastic and not stressful. Thanks again for all of your help.. you are the best! I will continue to recommend you to everybody I know." "Just wanted to say a massive thank you for teaching Megan, she has loved the driving lessons and is obviously over the moon at passing first time." "Thank you for all your help Russell! I passed first time." We cover Aylesbury, Princes Risborough, Wendover, Thame and all surrounding areas.